Alex Fox has joined HawkEye 360 as executive vice president of business development, sales and marketing, the company announced. Fox, who has more than 20 years of experience of executive leadership in engineering, operations and business development, specializes in space technology for critical applications, the company said. HawkEye 360 is the first commercial company to use formation-flying satellites to create a new class of radio frequency, according to the company. 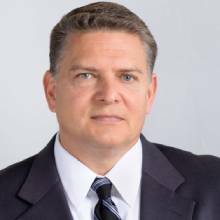 Before joining HawkEye 360, Fox was director of Space ISR Solutions for Harris Corp., where he led new business efforts within the space and intelligence business segment serving intelligence, defense, civil and commercial organizations. He has also held executive business development, operations and engineering positions at IBM, DigitalGlobe, TASC, Northrop Grumman, GeoEye and Orbital Sciences. Fox has a master of science degree in computer science from Johns Hopkins University and a bachelor of science in information and computer science from the Georgia Institute of Technology. He currently serves on Georgia Tech’s College of Computing Advisory Board.